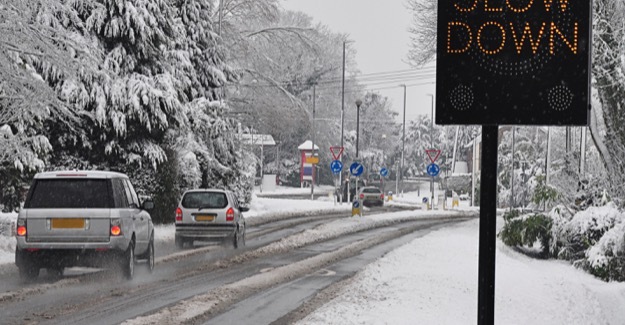 A report for the RAC Foundation concludes that although councils and the Highways Agency responded well to the recent periods of snow and ice, changing weather patterns mean strategy will have to shift from one of trying to change the conditions to one of coping with them. Ploughing On – written by Brian Smith, a former director of Environment and Transport at Cambridgeshire County Council and member of the government-commissioned Quarmby Winter Resilience Review in 2010 – concludes that the official response to the extensive ice and snow seen in England and Wales in January 2013 (and again in parts of the South East of England in early March) was generally good. It says there was no repeat of the shortage of salt seen in recent years. However the report notes that at temperatures of -7C and below, the effectiveness of salt decreases and high winds mean snow drifts faster than it can be cleared. Problems were exacerbated by the heavy rainfall of 2012. Surface water and field run-off quickly froze as temperatures dropped. Then as the snow melted there was flooding as a result of the already saturated ground.